Purposeful, Intentional and Joy Filled Life. 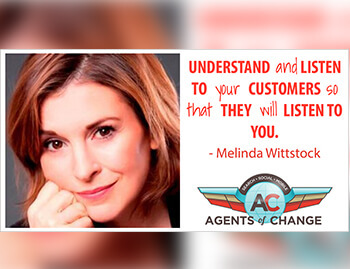 Have Melinda Speak at Your Next Event! 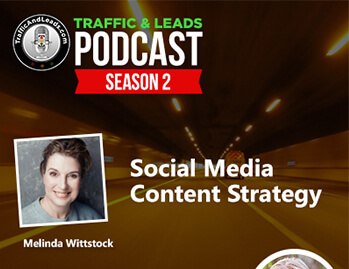 Let Melinda show you the same proven methods that resonate so deeply with the dozens of top-caliber entrepreneurs and conscious executives she works with to change the game for 7, 8 and 9-figure success – and a mission-oriented life they love and enjoy. 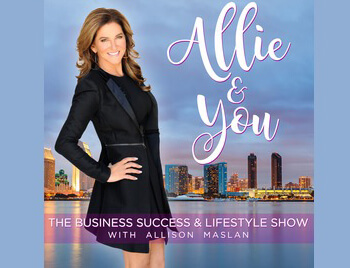 Leverage her award-winning interviewing and network TV hosting skills to bring your event to life! Steve Jobs once told Melinda she “asked the best questions”. 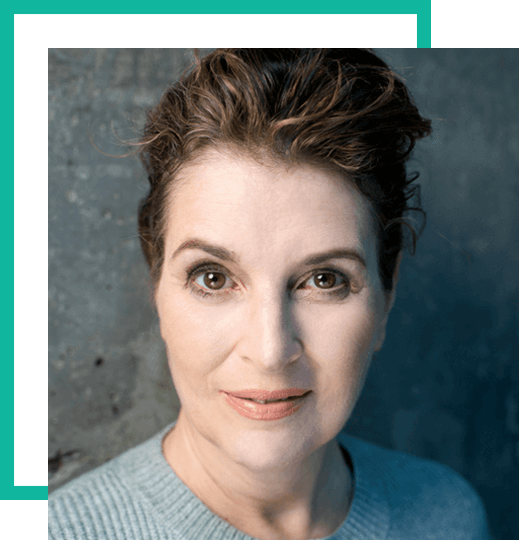 Melinda has interviewed F500 CEOs, Rock Stars, Astronauts, Super Models, Politicians and Scientists – from President Barack Obama to Twiggy, from Sir Elton John to Steve Jobs to Neil De Grasse Tyson. 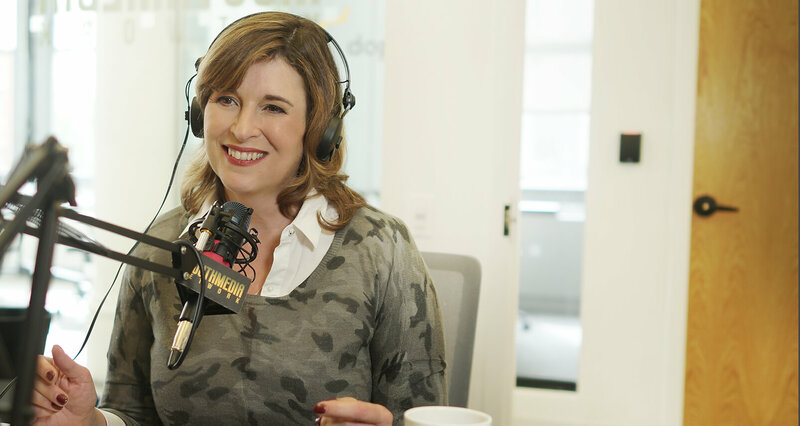 Her TV, Radio, Podcast and Conference Interviews – for the BBC, ABC, CNBC, her former company Capitol News Connection, and now her podcast Wings of Inspired Business win consistent acclaim and boast several Edward R Murrow Awards. She has moderated panels at SXSW, Georgetown University, the National Press Club and the European Commission among them. A passionate advocate for women in business, as well as conscious entrepreneurs and executive leaders dedicated to pursuing evolved social enterprise businesses models, Melinda draws on her unique cross-disciplinary expertise and diverse experience to inspire, motivate and grow leaders, innovators, and team members across industries. The Best damn lunch ever! I just got through the evaluations from yesterday. Rave reviews, but you were the drop-dead favorite speaker of the group. The class loved hearing your stories – and they are already fast at work implementing your advice. Thanks so much for coming and shedding so much light on the entrepreneurial journey. Hi Melinda - Just heard you spoke at Voice Summit. I resonate so much with what you said. I have a podcast I've had for almost 4 years and would love to learn how to grow it and build the brand in a tech way. Would you or someone from your company be willing to setup a phone call so that I can learn more about you and your company? I enjoyed your talk Authenticity in the Age of Bots: Leveraging Personalized Connection at Scale at VOICE2018. I hope we can stay connected. Can you send the slides please? 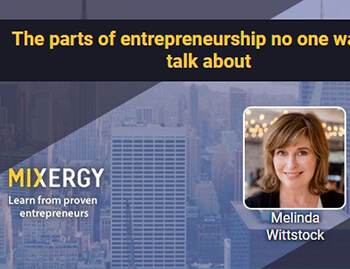 Melinda Wittstock is a visionary 4X serial entrepreneur and innovator who has “been there, built that” founding and growing four successful businesses in media, technology and mobile apps. She’s also an award-winning journalist and acclaimed interviewer and TV host whose work spans the BBC, ABC News, CNBC, The Times of London, Guardian and CNN – and now hosts a fast-growing and critically acclaimed podcast on female entrepreneurship called Wings Of Inspired Business. Melinda has keynoted, spoken and moderated panels all over the world – from SXSW Interactive to the European Commission, from Google to Columbia University, from Voice 18 to Underground Online Seminar and beyond, also appearing on CNN, C-Span, ABC News, CNBC and countless podcasts from Mixergy, Funnel Hacker Radio and the Conscious Millionaire to Positive Productivity, Reinvention Radio, and Mindfulness Mode. 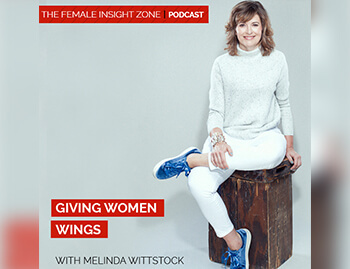 Wings Media, a multimedia platform of voice, visual and interactive shows, online Masterclasses, masterminds and apps dedicated to lifting women in business and supporting Melinda’s personal mission to invest $10mm in 10 years in women-founded and conscious businesses. Verifeed, a predictive social intelligence company where Melinda innovated the Return on Authenticity™ (ROA™) algorithms, creative processes, and artificial intelligence for personalized social media engagement at scale. 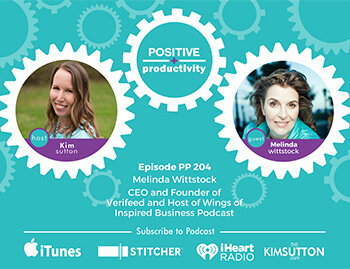 Melinda believes business growth comes hand-in-hand with personal growth and her executive coaching, mentoring, online courses, teachings and masterminds all focus on the intersection of Mindset, Mojo and Money. 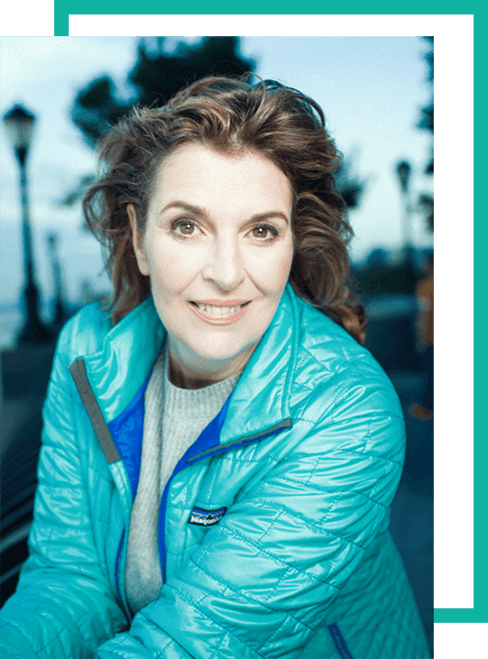 She focuses on helping innovators and influencers from startup to F500 step into their authentic power and purpose, align the personal with their businesses, and leverage their mission to transform companies into viral movements. 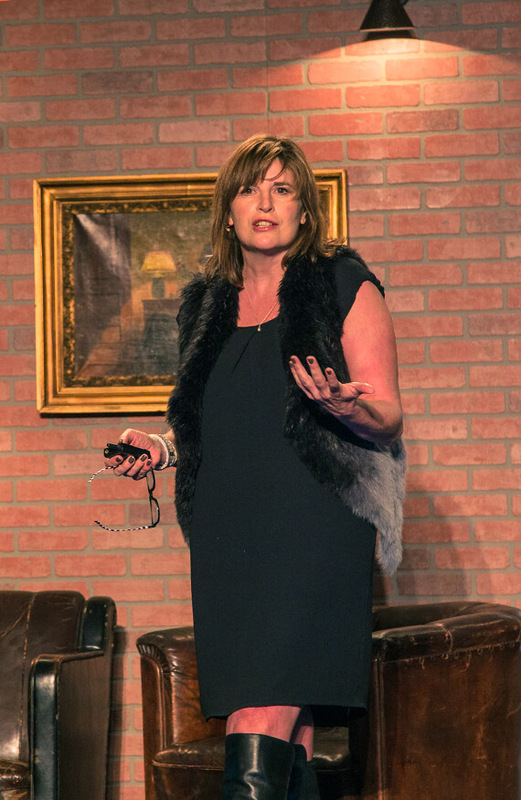 A passionate advocate for women in business, as well as conscious entrepreneurs and executive leaders dedicated to pursuing evolved social enterprise businesses models, Melinda draws on her unique cross-disciplinary expertise and experience to inspire, motivate and grow leaders, innovators and team members across industries. 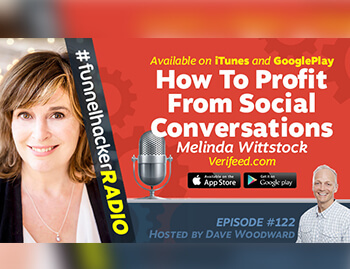 Meet Melinda on her ChatBot at https://melindawings.com, listen to her podcast on iTunes here, or connect with her on LinkedIn, Facebook, or Instagram. Authenticity in the Age of Bots: How to Scale Your Personal Voice with Artificial Intelligence to Personalize Engagement at Scale – and Grow Your Business Faster Than You Ever Imagined. The Top 10 Mindset and Mojo Hacks To Ride the Ups and Downs of Entrepreneurship and Manifest Outer Success with Inner Growth. Doing Great By Doing Good: How To 'Walk Your Talk' to Boost Business Growth and Company Valuation with 10 Conscious Social Mission Business Models You Can Implement Right Now. Let's Get Messy, Ms. 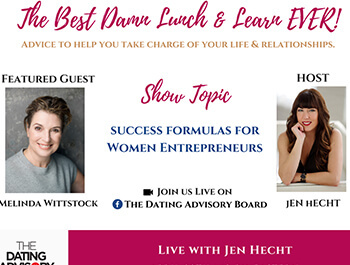 Perfect: How to Avoid the Perfectionism Trap that Keeps 97% of Women Business Owners From Scaling Their Businesses to $1mm+ or More. Catalyzing Connection: How To Profit and Grow Your Influence by Creating Referral Networks Connecting People to Create and Catalyze 1+1=1,000,000 Outcomes. 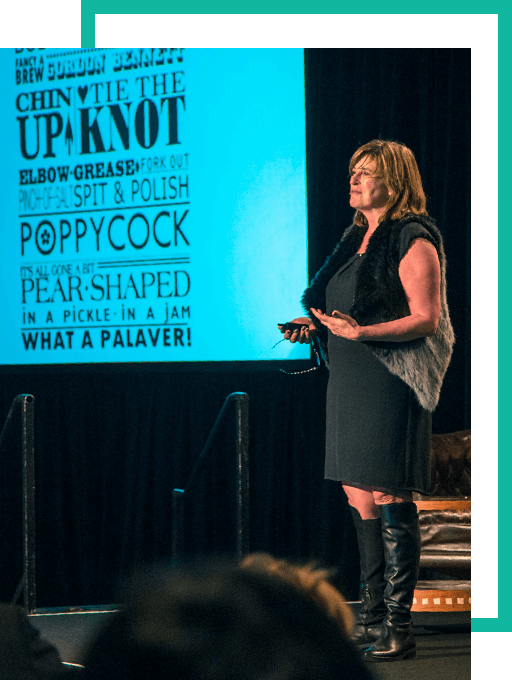 Your Return on Authenticity™: How to Find and Engage Your True Tribe of Raving Fans to Drive Viral “Word of Mouth” Business Growth and Impact, and Transforming Your Business Into a Movement. Stiletto Strapping Your Business: 10 Proven Ways Women Entrepreneurs Can Fund Their Businesses From Idea Stage to Scale While Balancing In High Heels and Avoiding #MeToo’s. How To Build And Monetize A Massive Podcast Audience Fast: Practical Marketing and Tech Hacks to Grow Downloads, Subscribes and Reviews Across Platforms, Get To Know Your Listeners, and Make Money from Sponsorship And Other Monetization Strategies. Failing Forward for Growth: Leveraging Failure As An Alchemist Turns Coal into Diamonds – How To Embrace and Learn From Challenges and Keep A Smile On Your Face Through the Ups and Downs of Entrepreneurship. Beyond Email to Instagram, ChatBots, Voice SEO and SMO: How To Create a Profitable Cross-Platform Viral Funnel For an Evergreen Course or Product. The Fundraising Checklist: How to Qualify For Angel and Venture Capital, The Seven Things Investors Look For In A Startup and How To Rock Your Pitch. 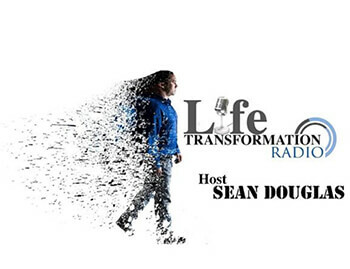 Mindset Mojo Money: Learn Why The Three M's Interrelate In Business and in Life and How To Leverage This Proven Success Formula from Startup to Scale. Why Self-care is Selfless and in Service To Your Customers: Learn How to Be At Your Best Because There Is No Business Without Its Leaders Operating At Full Potential. Trust Is The Most Valuable Currency: How to Build and Leverage The Trusted Connection With Brands and Businesses Your Customers Crave with New Approaches and Technologies.